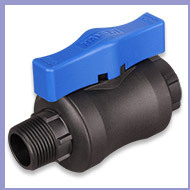 Do Your Ball Valves Deliver a FULL FLOW? 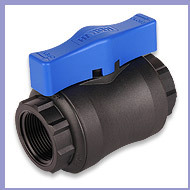 The Ball Valves in this website are protected by intellectual property rights owned by the Hansen group of companies in New Zealand, Australia and other countries, including NZ registered design 410758, Australian registered design 317355, United States registered design 616068, Canadian registered design 126688, European Community registered design 000950431-0001and South African registered design A2008/00907. HANSEN is a trade mark of the Hansen group of companies. Hansen Ball Valves are Frost Friendly and have been tested in frost conditions. Results may vary in freezing conditions. Hansen from 15mm to 50mm have met the requirements of AS/NZS 4020 Australia & New Zealand drinking water test standard. Approved by the International Marine Certification Institute to ISO standard 9093-2 and meets the requirements of the Recreational Craft Directive 94/25/EC meaning that it is safe to use in salt water environments.